Lots of us used to color as kids and… it made us happy. Current research by mental health experts suggests that it might make us adults happy too. Recently, psychologists found that coloring in or out of the lines helps unlock creative potential, and relieve tension and anxiety, something we have a whole lot of in this crazy unpredictable world of ours. Artist Photo Credit: Wendy Piersall, Wendy’s Free Coloring Pages. Need more reasons to start coloring? 1. Coloring is considered therapeutic and during stressful times, can help you have a more positive mindset. 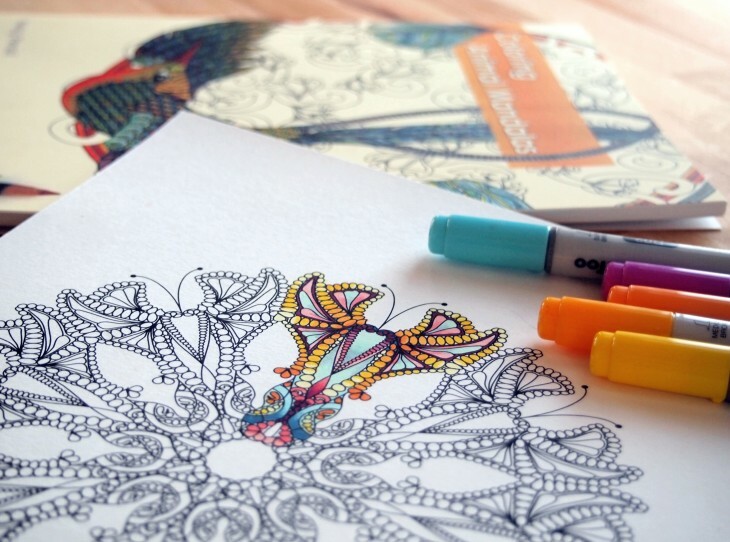 Studies show that coloring helps you become more focused and this in turn helps you “chill out” and de-stress. Centering your attention on a single soothing activity is therapeutic and has a beneficial effect on your mood, your energy levels, and your quality of sleep. Studies have found that coloring during cancer treatment had a profound effect on patient’s well- being and research shows this form of therapy often has tangible results decreased symptoms of physical and emotional distress during treatment. 2. Coloring not only allows your to handle stress better but makes you smarter. Art stimulates communication between various parts of the brain so not only helps you handle handle stress better, it increases the number of brain connections, which is a greater measure of intelligence than brain size. Adult coloring books are enormously popular and represent 10 of 24 of Amazon’s top selling books of 2015 so give it try! Artist: Wendy Piersall’s website and FREE coloring pages!